It was still very thick and wet and had not been attacked by bugs or deer yet (both of which will happily eat it – and I have seen deer in the area, although infrequently). These two patches to the right were younger and probably still developing. All in all a great day out there. I’ve developed an interest in getting there early in the mornings when there are less people and everything is just fresher before the heat of the day disturbs everything. I know I’ve been coming thick and fast with the mushroom updates but this weekend I solved a mystery that has been bothering me for a while. 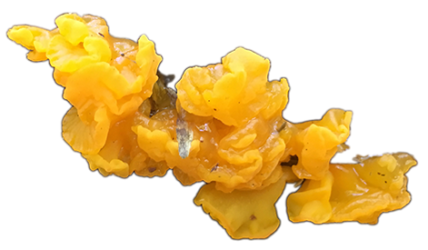 There seem to be two major, large, polypore mushrooms that I see attached to tree trunks in my area – the first was identified as the Birth polypore (Fomitopsis betulina) and A Blog Post here. 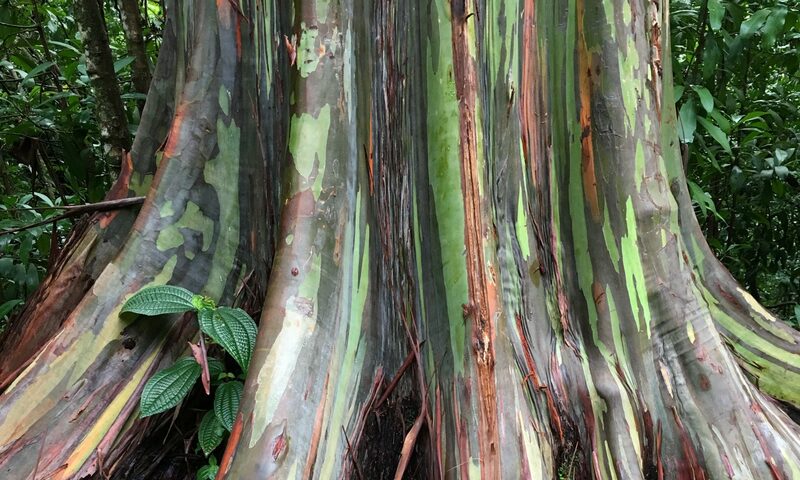 But I would see another type, more flat and with rings of colour and generally larger and encircling the trunk… see below. My books and exhaustive web search failed to really identify it. Eventually I think I found it. 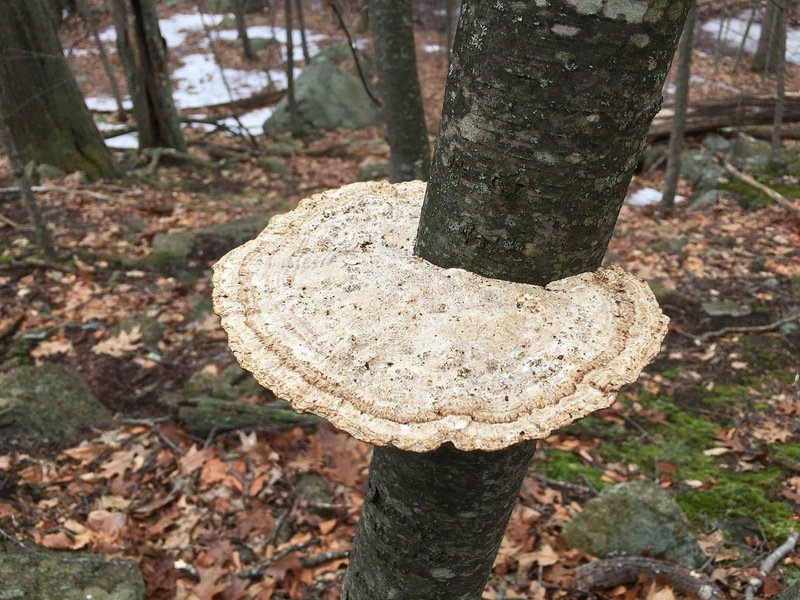 It is the thin walled maze polypore or blushing bracket (Daedaleopsis confragosa) and seems very common in this area. It doesn’t seem to have any very interesting properties. Apparently the flesh is tough and not very edible, but not poisonous, so it’s considered ‘inedible’. 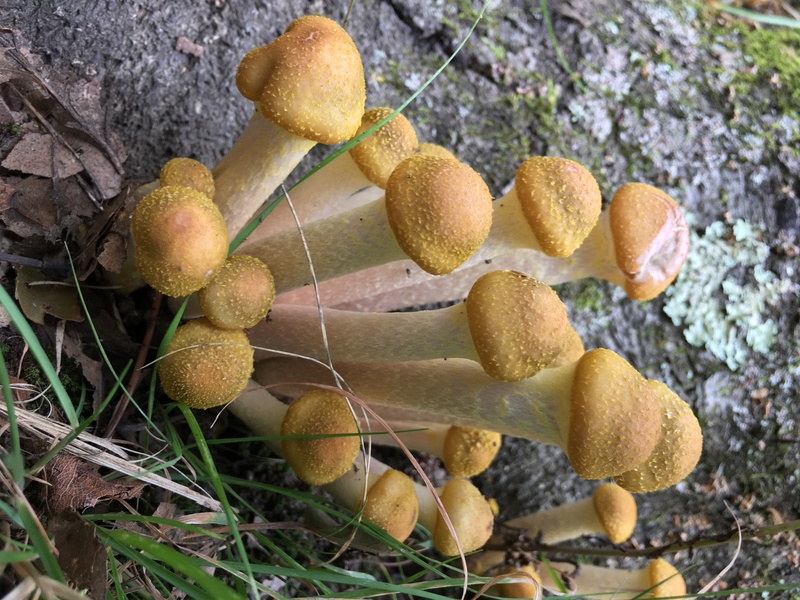 Its just surprising that was is a very common fungus in the Middlesex Fells didn’t rate a mention in many books or forums. In Search Of Turkey Tail Mushrooms – Failure – but found something else! 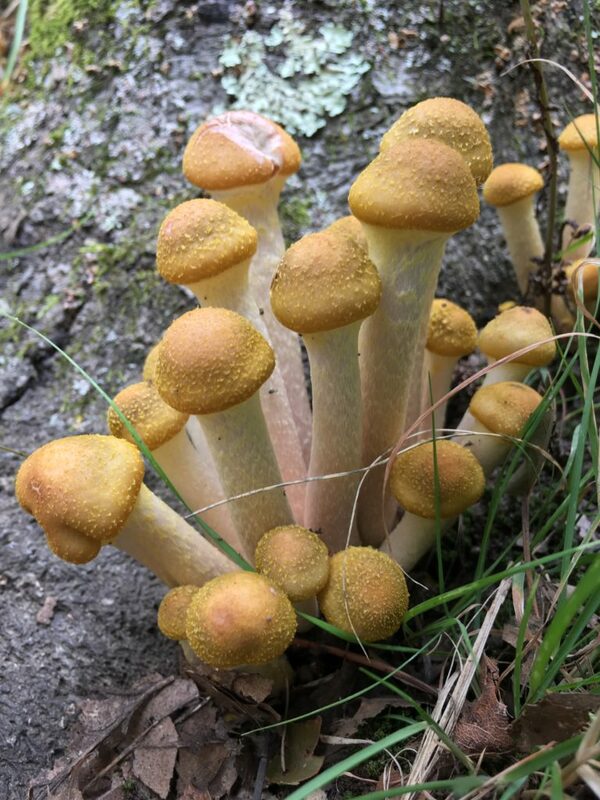 Wild mushroom literature is obsessed with a few types of mushroom species – usually for their flavour or medicinal value. 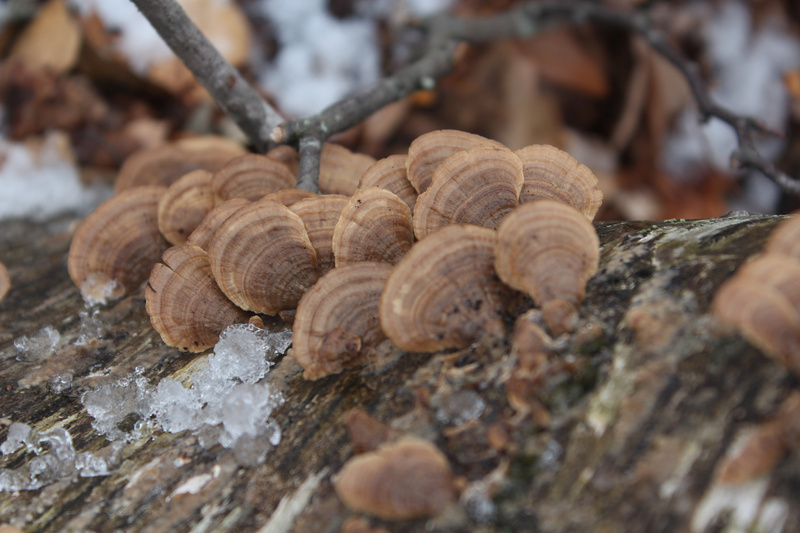 When it comes to medicinal, none seems to be more prized than the Turkey Tail Mushroom (Trametes versicolor). 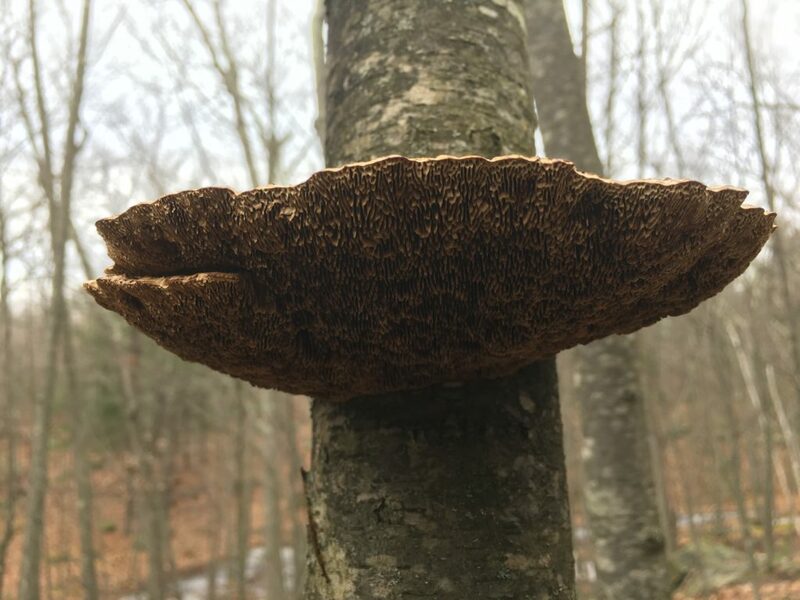 This polypore mushroom (think pores, not gills, on the underside) is saprotrophic (grows on dead wood) and extracts have been shown to be anti-inflammatory and anti-cancer agents. I haven’t looked at those studies myself and I’m pretty skeptical about claims like this. The excitement for me is not in making a tea and treating some inflammatory issue I might have. The mushrooms themselves apparently aren’t very tasty either. No, I just like the thrill of the case and so this fairly warm weekend I decided to go in-search-of the Turkey Tail mushroom. Long story short, I failed. It’s the dead of winter and maybe not a great time, instead I came across some lookalikes and went about trying to identify them instead. 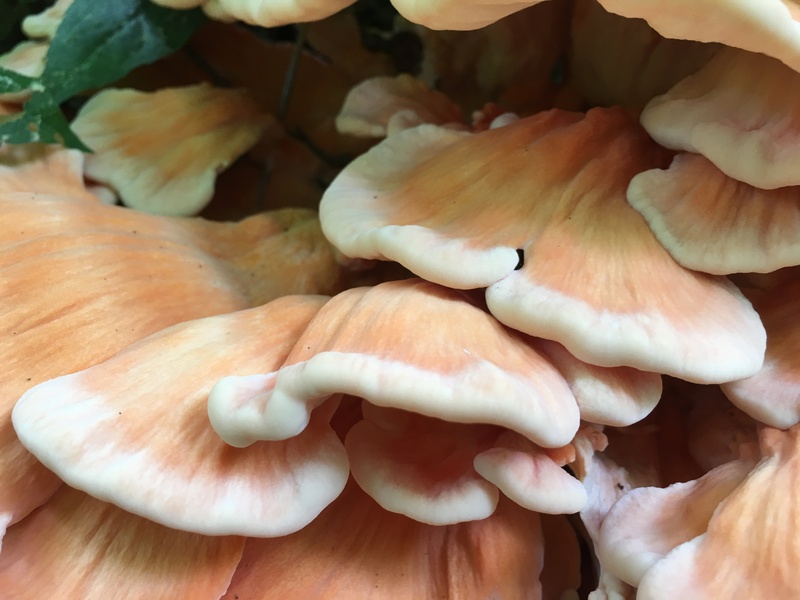 To start, this mushroom is not really the right coloring expected of turkey tail – it’s a little too dull. A sample of it dried out pretty quick and turned pretty much grey. The cap was, however, velvety, which apparently is correct. The underside (not shown, sorry 😒) did have a pore like structure and definitely not gills, but the texture was more like fibers or teeth, not pores. 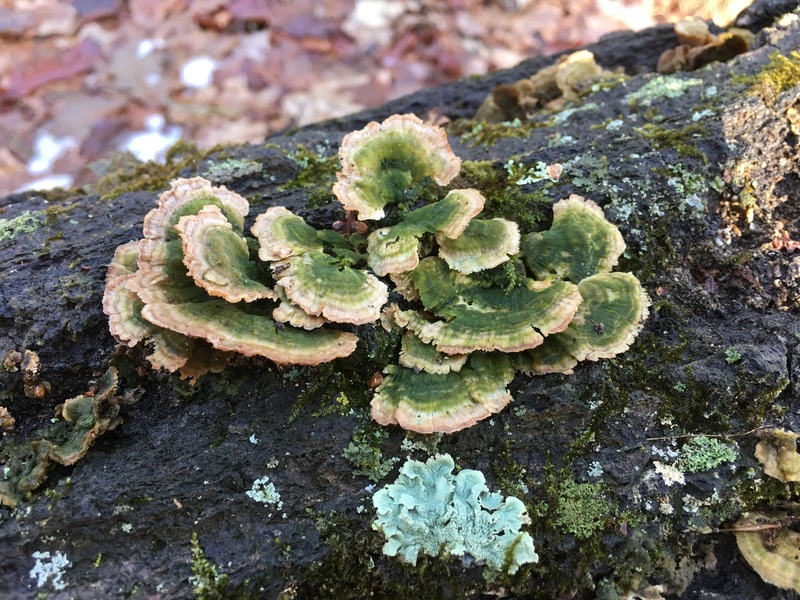 This is just not adding up for Turkey Tail but it does seem to match Trichaptum biforme. 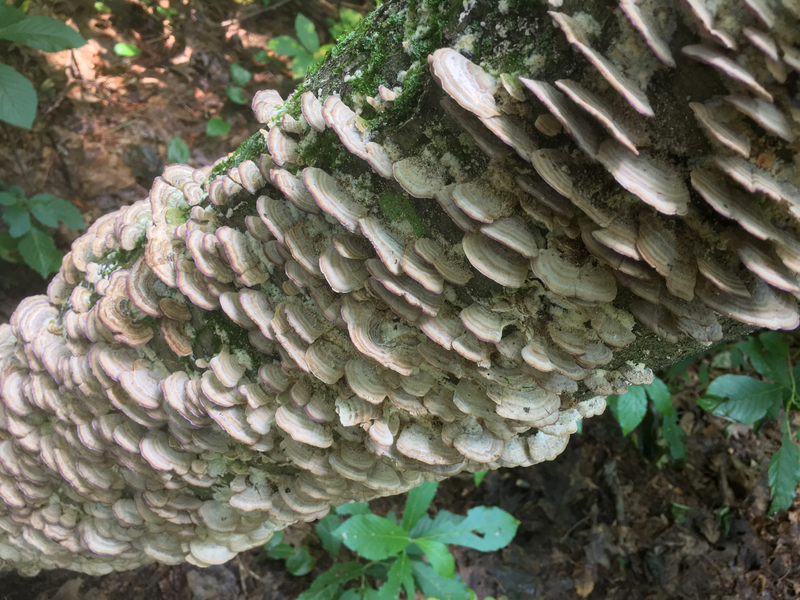 This fungus has similar ecology to the Turkey Tail, but it’s underside is apparently more tooth like. T. Biforme is also noted to have a purple edge to it but alas this does fade so it’s not surprising it was absent. Another look about elsewhere uncovered this patch below, looking very old and wet and possibly discolored by green algae. Exhibit B: It’s underside structure was similarly tooth-like. This specimen was also just looking very old and abused by winter. The purple thing did trigger a memory so I looked through some old photographs I had and low and behold in September or October last year I uncovered a mass of these little guys, complete with subtle purple edging. Look below. 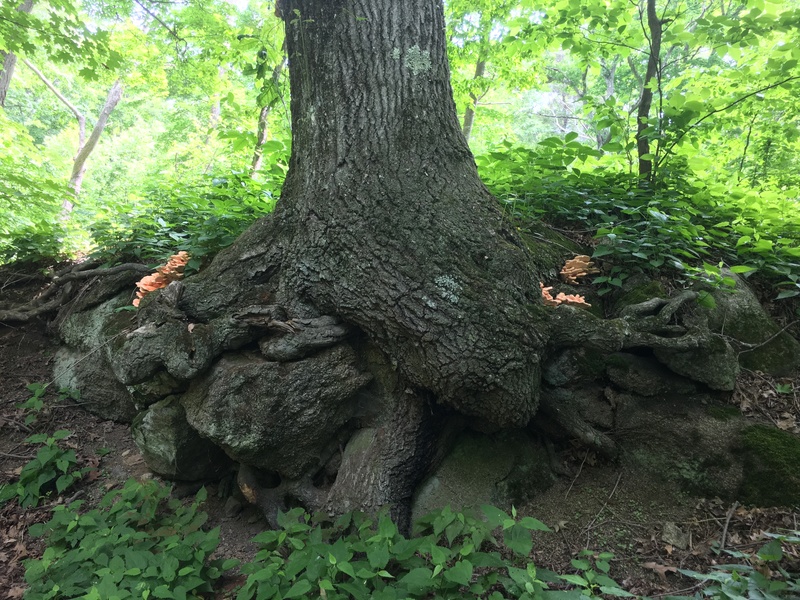 So it seems that Trichaptum biforme is common in the Middlesex Fells and is acting as a major decomposer of dead wood in the area. And it survives into the winter quite well. 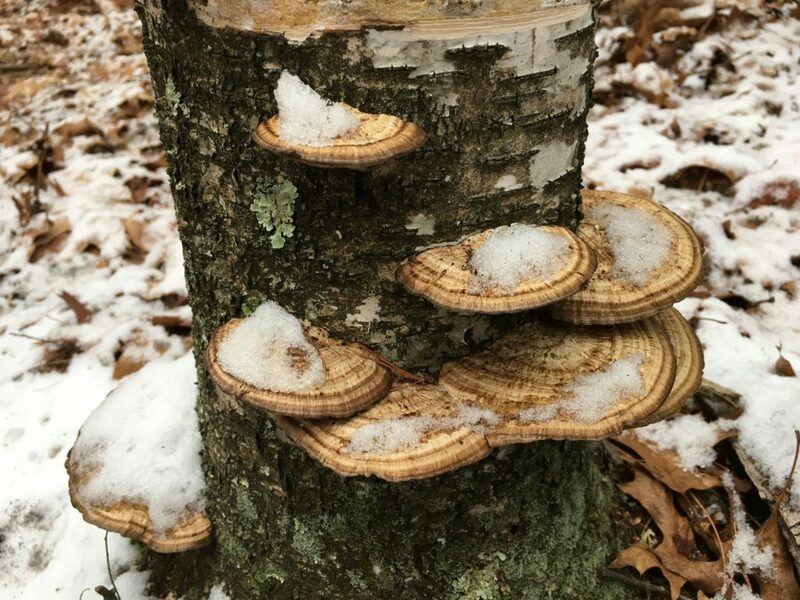 I’ll have to keep my eyes peeled for Turkey Tail once it’s season comes in though. I had a another nice walk in the Middlesex Fells this weekend – just a quick one really with the dog this time. 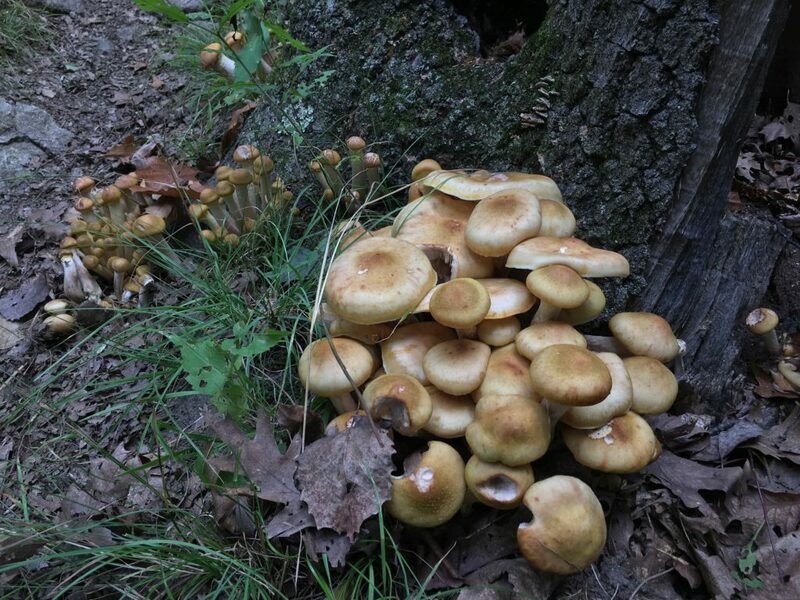 We happened to stumble upon this nice cluster of mushrooms, however. If anyone knows what species they are, I’d love to know! 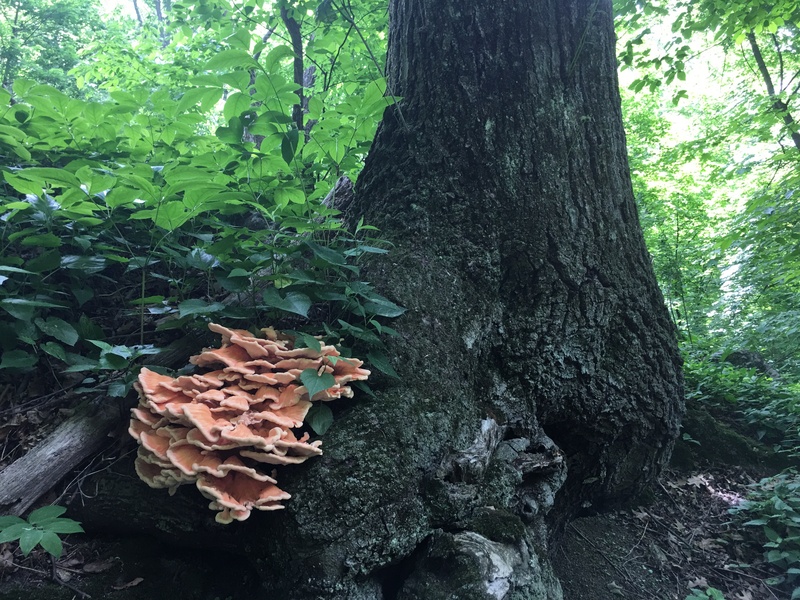 I have never seen such a cool cluster of mushrooms. Oh, and this variety too was near by. Again, a huge patch, but I think slightly different species.